Successful diagnosis and satisfactory treatment require an accurate cast articulation that duplicates patient’s maxillomandibular relationship. Whereas few studies denote that occlusal precision might not be critical for treatment success, many researchers believe that accurate cast articulation is a necessity and the final dental prosthesis would not be acceptable if inaccuracy is introduced in any stage of dental cast mounting procedure. Achieving accurate cast articulation is a challenge for both clinician and laboratory technician. Literature has shown that errors are expected to happen in any step of the cast articulation process. Shortcomings associated with the materials used, inherent limitations of the articulators, restrictions of soft tissues such as the ligaments of the TMJ and masticatory muscles, are some issues that impact either directly or indirectly the accuracy of the cast articulation. However, many of cast articulation errors can be avoided through understanding the maxillomandibular relationship, appropriate selection of the materials and methods, and careful manipulation of the devices. Controlled studies on the clinical impact of cast articulation accuracy are needed to be conducted. Likewise, the quality of cast articulation could be improved by developing a new approach that eliminates several steps necessary with conventional procedures for mounting casts in an articulator. One of the most challenging situations that dentists face on a regular basis when trying to fit fixed or removable prosthesis is a restoration with high contacts. A major cause of such problem is inaccurate cast articulation. Accurately mounted casts can provide additional findings, sometimes over and above that which can be resultant from intra-oral examination and the use of hand-held study models. Accurate cast articulation eventually results in correct static and dynamic occlusal relationships, accuracy in diagnosis and treatment planning, and accuracy in the occlusal relationships of the final prosthesis with reduced restoration cost and less chair-side time. In the literature, many articles advise that it is indispensable for clinicians to articulate dental casts as accurately as they can since an occlusal relationship on the articulator that differs from that of the patient may result in an occlusal error in a restoration. Errors could occur anytime during the transfer of maxillomandibular relations to the dental articulator. Therefore, it is extremely vital that every single step in the procedure that attempts to replicate the occlusion must be highly accurate. Many factors contribute to inaccurate cast articulation and thus result in reduced accuracy of diagnosis or restoration manufacture. This review is trying to discuss the most major causes that lead to inaccuracy of cast articulation, and identify some approaches that would improve mounting casts’ procedure to accomplish highly precise restoration. Errors could happen while registering occlusal relationship. An example of a possible source of error is the difference in the patient’s mandibular position when supine and upright. According to Helkimo et al.,  the mandible tends to be positioned more posteriorly when the patient is lying down and the mouth has been actively closed into the relaxed position of centric occlusion. Another example is inherent in the nature of mandibular hinge axis and the consequences of its application in treatment planning. Centric relation (CR) record probably is the most vital record required in comprehensive prosthodontics because it is the only “fixed” relationship between the maxilla and the mandible as it is determined by the bony relationship between the condyles and the glenoid fossa. To determine CR effectively, the bite should be registered with interocclusal clearance that created after an efficient neuromuscular deprogramming is done. Neuromuscular deprogramming is the key to reproducibility and can be reached by practicing any one of many successful techniques such as splint therapy or Lucia jig. CR is distinctively different from centric occlusion (CO) which is registered when teeth are in maximum intercuspation and thus has its own indications. The discrepancy between CR and CO has been reported in the literature. This difference usually happens due to a premature occlusal contact on the posterior teeth. A research conducted by Christensen  has shown how alginate impressions can contribute significantly to a crown being too high. Even though hand mixing of alginate still is the most common method of mixing alginate, the author supports mechanical mixing of alginate impression as it makes a more consistent mix of alginate every time. Also, it is suggested that the teeth should be dried with air to remove debris and then the mixed alginate should be rubbed onto the occlusal surfaces with a gloved finger to fill the occlusal groves, allowing accurate reproduction of the occlusal tooth anatomy and preventing airbubble entrapment on the occlusal surface. A cast made with a distorted impression or a porous impression resulting in plaster blebs on occlusal surfaces will not fit comfortably. It has been reported that casts fabricated with double-arch impression technique are probably the most accurate duplicate of the maximum intercuspal position (MIP) when mounted in an articulator. Some studies have investigated the dimensional accuracy of dies fabricated from such technique. For instance, Davis and Schwartz  compared intra- and inter-abutment dimensions. The trial found that the double-arch technique proved more accurate than custom trays, and rigid metal trays were found to be superior to disposable plastic trays. On the other hand, it is commonly believed that complete-arch impressions produce accurate casts as well if made with particular materials. According to Davis et al. either technique would produce castings with an excellent marginal fit. Overall, open mouth, complete-arch impressions made in a custom tray may produce the most accurate die. Bite registration: Occlusal contacts variables including number, location, and size as well as applied forces need to be accurately registered when the occlusion scheme is assessed. The interocclusal record, the pantograph, and the axiograph are examples of techniques used to set condylar guidance on articulators. Recently, technology has been applied to these methods and many studies have been published to support this trend. When the teeth are absent or do not offer vertical and horizontal stability between the arches, an interocclusal record is essential to articulate the casts. Nevertheless, it is unnecessary to use interocclusal records if a good tooth intercuspation is present. In this case, hand articulation is the best way to achieve highly accurate duplicate as the potential for errors is reduced. If the range of movement and tooth contact between CR and CO needs to be analysed, the interocclusal record must be taken with the mandible in the retruded axis position. A considerable amount of literature has been published on physical properties and behaviour of bite registration materials. Vergos and Tripodakis  stated that the accuracy of an interocclusal record is influenced not only by the material properties, but also by the recording technique, as well as the reliability of the mandibular position influenced by the occlusal contacts, muscular action, or tissue changes within the joints. Moreover, the accuracy of fit of the recording material on the study or working casts seems to be a critical factor in the whole procedure. There have been several investigations into the causes of inaccuracy of interocclusal recording materials. However, some of these investigations have not differentiated between manipulative errors, recording materials properties, and the inaccuracies of the derived casts. In the next section, the effect of interocclusal record materials properties and behavior on the cast articulation accuracy will be discussed. Several different experiments have found that all tested recording materials have one or more major shortcomings that may affect the accuracy of registration. Fattore et al. found that none of the recording materials exhibits absolute dimensional accuracy, with most of them exhibit dimensional change over time. Freilich et al. and Urstein et al. found that impression plasters appear to possess excellent overall characteristics. However, it has been reported that plaster is difficult to handle in the mouth and the final interocclusal record is brittle. It has been suggested by Freilich et al. that records composed of waxes, resins, or pastes should be utilized for mounting casts before they undergo significant dimensional change. In a trial carried out by Breeding et al.,  the accuracy of thermoplastic resins, acrylic resins and addition-cured silicone interocclusal recording materials was compared. It was found that the use of the addition silicone generated significantly fewer mounting errors than those generated by the acrylic resins and thermoplastic resins. The findings of this study were supported by several studies conducted in the past few decades. [3,14] These studies concluded that PVS interocclusal records were found to be accurate and dimensionally stable for several days. Taken together, all investigations carried out in bite registration revealed that there is neither one ideal method nor material. The most important part in this vital step is what Steele et al. have stated in their paper. According to this study, the fundamental requirement is to obtain enough detail in a dimensionally stable recording material to enable casts to be confidently located in the laboratory whilst not recording so much detail that it stops the casts seating. Models pouring: Pouring accurate dental casts is a critical phase to be considered by the dental team when a perfect outcome is desired. Christensen  has shown that it is likely that pouring models with dental stone instead of plaster is a key role to achieve an accurate cast as dental stone provides strength and high wear resistance. Facebow: Facebow orientation errors are common in many dental clinics. Accurate location of the hinge axis helps to orientate the maxillary cast on the articulator. Some of the errors happened are introduced when the facebow is adjusted and placed on the patient and when measurements are transferred to the articulator. A research done by Ferrario et al. has suggested that orientation errors can be reduced by operating a computerized method for non-invasive determination of the 3-dimensional position of the occlusal plane with the head in the natural head position. Moreover, Pröschel et al. have suggested using articulator-related registration concept to minimize registration errors. Clark et al. have highlighted that if a discrepancy exists between the true hinge axis and the articulator axis, a premature contact will occur on the retruded path of closure on the articulated model, which is not present clinically. (3) Setting the Frankfurt plane horizontally on the upper member of the articulator. There are 3 types of dental articulators [Figure 2]. Figure 2: Flowchart of types of dental articulators. 1. Non-adjustable articulator: Literature has revealed that nonadjustable articulator can only duplicate maximum intercuspation position with acceptable amount of accuracy and reproducibility. Therefore, to reduce complexity and cost, a single restoration, which is not involved in excursive contacts, could be made on a non-adjustable articulator; and then some minor adjustments probably would be made in the mouth before final cementation. 3. Fully adjustable articulator: Fully adjustable articulator has been suggested to be used when clinician works on full mouth rehabilitation case that needs dental prosthesis with highly predictable outcomes. Celenza  stated that eccentric movement articulators duplicate all eccentric pathways so a precision centric position may be developed and maintained, and so eccentric “irritants” will not be introduced. Many advantages have been described in the literature for using the articulators that are claimed to be interchangeable. However, some studies have shown that the clinician should understand that no two articulators are exactly the same and that it may be wise to use only one articulator. Hatzi et al. have tested five calibrated articulators from different brands. The study has shown that no articulator system provides exact interchangeability or hinge axis repeatability even though the differences between articulators are not visible. The clinician should verify the accuracy of the pre-articulation steps such as impressions, interocclusal records, and facebow because errors can be introduced at any stage. Likewise, caution should be exercised when the casts are mounted as errors can be introduced as well at the stage of seating the cast into the bitefork indentation and the subsequent mounting. Vertical and horizontal stability and support should be maintained during the whole process of cast mounting, otherwise the articulated casts could give incorrect simulation. Dental plaster is the most common material used to mount maxillary and mandibular casts on articulators. However, one of the major disadvantages of this material is its expansion while setting. A low expansion plaster and two separate mixes of plaster if there is a large space between the mounting plates and the study casts are some tips that have been suggested to be used. Some other studies have supported using split-cast technique and magnetic plates. A study done by Hatzi et al. has demonstrated that if the mounting plates are split-cast and magnetic, the possibility of torquing the cast during articulator placement could be minimized. Steele et al. have shown that the quality of the casts and the care with which they are mounted are critical. They have stated that there is no room for carelessness at this stage, wrongly articulated casts are probably worse than no casts at all as they may result in false assumptions about treatment. Overall, both clinician and laboratory technician should take responsibility for their actions as they have a key role in providing a precise jaw simulation which ultimately leads to a successful restoration. Various techniques have been described in the literature to stabilize the casts during articulation process. Rigid rods secured by sticky wax, cyanoacrylic adhesive, rubber bands, clay, plaster, and silicone material are examples of the techniques and materials used to secure the casts. However, no evidencedbased study has suggested one universal technique that can suit all cases and completely eliminate all cast movements. Ghazal and Kern  have shown that the practitioner should be careful as some of the mentioned techniques have some undesirable features that may result in an uncontrolled compressive force on the interocclusal recording material or in a horizontal movement. Assessment of the validity of the cast articulation has infrequently been investigated. With limited success, just few studies have tried to test the accuracy of the resultant articulated casts. [36,40] It is sensible that these investigations have visually evaluated the legitimacy of cast articulation by comparing the occlusal findings on the mounted casts with those found clinically. However, achieving highly accurate dental prosthesis needs more scientific methods to evaluate the reproducibility of occlusal findings. Foil shim-stock is considered the most common way to verify the clinical findings. Interocclusal position, for example, can be confirmed if the casts hold the shim-stock between the same teeth as they do in the mouth. Additionally, Vericheck is an instrument that has been used by some studies when the accuracy of cast mounting is needed to be checked. [41,42] Some articulators such as Denar Mark II has the ability to be used in conjunction with Vericheck. Also, split cast is a technique that the clinician or technician can use to verify jaw position records. To maintain the accuracy of dental articulators and recording devices, both dentist and laboratory technician are supposed to keep these instruments clean and handle them with care. Debris of wax and plaster on the articulator surfaces can cause mounting errors resulting in an occlusal discrepancy. Over-tightening the screw of transfer fork or excessive pressure applied on any part of facebow appliance could cause permeant damage leading to incorrect recording. Regular check-up of the articulation and registration instruments is advised. Cox JR, Brandt RL, Hughes HJ. A clinical pilot study of dimensional accuracy of double-arch and complete-arch impressions. J Prosthet Dent 2002;87:510-515. Helkimo M, Ingervall B, Carlsson GE. Variation of retruded and muscular position of mandible under different recording conditions. Acta Odontologica Scandinavica. 1971;29:423-437. Campos AA, Nathanson D. Compressibility of two polyvinyl siloxane interocclusal record materials and its effect on mounted cast relationships. Journal of Prosthetic Dentistry. 1999;82:456-461. Dawson PE. Evaluation, diagnosis, and treatment of occlusal problems. 2nd ed. St Louis: C. V. Mosby; 1989. Christensen GJ. Making fixed prostheses that are not too high. The Journal of the American Dental Association. 2006;137:96-98. Davis RD, Schwartz RS. Dual-arch and custom tray impression accuracy. American Journal of Dentistry. 1991;4:89-92. Davis R, Schwartz R, Hilton T. Marginal adaptation of castings made with dual-arch and custom trays. American journal of dentistry. 1992;5:253-254. Vergos VK, Tripodakis AP. Evaluation of vertical accuracy of interocclusal records. International Journal of Prosthodontics. 2003;16. Dua P, Gupta SH, Ramachandran S, Sandhu HS. Evaluation of four elastomeric interocclusal recording materials. Medical Journal Armed Forces India. 2007;63:237-240. Freilich MA, Altieri JV, Wahle JJ. Principles for selecting interocclusal records for articulation of dentate and partially dentate casts. The Journal of prosthetic dentistry. 1992;68:361-367. Fattore L, Malone WF, Sandrik JL, Mazur B, Hart T. Clinical evaluation of the accuracy of interocclusal recording materials. Journal of Prosthetic Dentistry. 1984;51:152-157. Urstein M, Fitzig S, Moskona D, Cardash HS. A clinical evaluation of materials used in registering interjaw relationships. Journal of Prosthetic Dentistry. 1991;65:372-377. Breeding LC, Dixon DL, Kinderknecht KE. Accuracy of three interocclusal recording materials used to mount a working cast. Journal of Prosthetic Dentistry. 1994;71:265-270. Millstein PL, Hsu CC. Differential accuracy of elastomeric recording materials and associated weight change. Journal of Prosthetic Dentistry. 1994;71:400-403. Balthazar-Hart Y, Sandrik JL, Malone WF, Mazur B, Hart T. Accuracy and dimensional stability of four interocclusal recording materials. Journal of Prosthetic Dentistry. 1981;45:586-591. Mullick SC, Stackhouse JA, Vincent GR. A study of interocclusal record materials. Journal of Prosthetic Dentistry. 1981;46:304-307. Warren K, Capp N. A review of principles and techniques for making interocclusal records for mounting working casts. International Journal of Prosthodontics. 1990;3. Steele JG, Nohl FS, Wassell RW. Crowns and other extra-coronal restorations: occlusal considerations and articulator selection. British dental journal. 2002;192:377. Zuckerman GR. The geometry of the arbitrary hinge axis as it relates to the occlusion. Journal of Prosthetic Dentistry. 1982;48:725-733. Choi DG, Bowley JF, Marx DB, Lee S. Reliability of an ear-bow arbitrary face-bow transfer instrument. Journal of Prosthetic Dentistry. 1999;82:150-156. Ferrario VF, Sforza C, Serrao G, Ciusa V. A direct in vivo measurement of the three-dimensional orientation of the occlusal plane and of the sagittal discrepancy of the jaws. Orthodontics & Craniofacial Research. 2000;3:15-22. Pröschel P, Morneburg T, Hugger A, Kordab B, Ottl P, Niedermeier W, et al. Articulator-related registration--a simple concept for minimizing eccentric occlusal errors in the articulator. International Journal of Prosthodontics. 2002;15. Clark JR, Hutchinson I, Sandy JR. Functional occlusion: II. The role of articulators in orthodontics. Journal of Orthodontics. 2001. Ferrario VF, Sforza C, Serrao G, Schmitz JH. Three-dimensional assessment of the reliability of a postural face-bow transfer. Journal of Prosthetic Dentistry. 2002;87:210-215. Okeson JP. Management of temporomandibular disorders and occlusion-E-book. Elsevier Health Sciences; 2014. Weinberg LA. An evaluation of basic articulators and their concepts: part II. Arbitrary, positional, semi adjustable articulators. The Journal of Prosthetic Dentistry. 1963;13:645-663. Wachtel HC, Curtis DA. Limitations of semi-adjustable articulators. Part I: Straight line articulators without setting for immediate side shift. The Journal of Prosthetic Dentistry. 1987;58:438-442. Celenza FV. An analysis of articulators. Dental clinics of North America. 1979;23:305-326. Dixon DL. Overview of articulation materials and methods for the prosthodontic patient. Journal of Prosthetic Dentistry. 2000;83:235-247. Hobo S, Shillingburg HT, Whitsett LD. Articulator selection for restorative dentistry. Journal of Prosthetic Dentistry. 1976;36:35-43. Hatzi P, Millstein P, Maya A. Determining the accuracy of articulator interchangeability and hinge axis reproducibility. Journal of Prosthetic Dentistry. 2001;85:236-245. Bamber MA, Firouzai R, Harris M, Linney A. A comparative study of two arbitrary face-bow transfer systems for orthognathic surgery planning. International Journal of Oral and Maxillofacial Surgery. 1996;25:339-343. O'Brien WJ, Ryge G. An outline of dental materials and their selection. WB Saunders Company, USA; 1978. Peregrina A, Feil PH. Reproducibility of occlusal contacts relative to mounting cast variables. Quintessence International. 1994;25. Hindle JR, Craddock HL. The use of articulators in UK dental schools. European Journal of Dental Education. 2006;10:197-203. Gunderson RB, Siegel SC. Cast articulation accuracy using rigid cast stabilization. Journal of Prosthodontics. 2002;11:117-121. Roraff AR, Stansbury BE. Errors caused by dimensional change in mounting material. The Journal of prosthetic dentistry. 1972;28:247-252. Hsu YT. A technique for stabilizing casts during the mounting procedure. The Journal of prosthetic dentistry. 2008;99:322-323. Ghazal M, Kern M. Mounting casts on an articulator using interocclusal records. The Journal of prosthetic dentistry. 2008;100:408-409. Liu FC, Luk KC, Suen PC, Tsai TS, Ku YC. Modified split-cast technique: A new, timesaving clinical remount technique. Journal of Prosthodontics. 2010;19:502-506. Fenlon MR, Woelfel JB. Condylar position recorded using leaf gauges and specific closure forces. International Journal of Prosthodontics. 1993;6. Milosevic A. Occlusion: 3. Articulators and related instruments. Dental update. 2003;30:511-515. Yi SW, Carlsson GE, Ericsson I, Wennström JL. Long-term follow-up of cross-arch fixed partial dentures in patients with advanced periodontal destruction: Evaluation of occlusion and subjective function. Journal of oral rehabilitation. 1996;23:186-196. Lindquist E, Karlsson S. Success rate and failures for fixed partial dentures after 20 years of service: Part I. International Journal of Prosthodontics. 1998;11. Caro AJ, Peraire M, Martinez-Gomis J, Anglada JM, Samso J. Reproducibility of lateral excursive tooth contact in a semi-adjustable articulator depending on the type of lateral guidance. Journal of oral rehabilitation. 2005;32:174-179. Sweeney S, Smith DK, Messersmith M. Comparison of 5 types of interocclusal recording materials on the accuracy of articulation of digital models. American Journal of Orthodontics and Dentofacial Orthopedics. 2015;148:245-252. Maestre-Ferrín L, Romero-Millán J, Peñarrocha-Oltra D, Peñarrocha-Diago M. Virtual articulator for the analysis of dental occlusion: an update. Medicina oral, patologia oral y cirugia bucal. 2012;17:e160. Lobbezoo F, Drangsholt M, Peck C, Sato H, Kopp S, Svensson P. Topical review: New insights into the pathology and diagnosis of disorders of the temporomandibular joint. Journal of orofacial pain. 2004;18. Pokorny PH, Wiens JP, Litvak H. Occlusion for fixed prosthodontics: a historical perspective of the gnathological influence. Journal of Prosthetic Dentistry. 2008;99:299-313. Kordaß B, Gärtner C, Söhnel A, Bisler A, Vob G, Bockholt U, et al. The virtual articulator in dentistry: concept and development. Dental Clinics of North America. 2002;46:493-506. Koralakunte PR, Aljanakh M. The Role Of Virtual Articulator In Prosthetic And Restorative Dentistry. 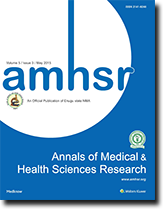 Journal of Clinical and Diagnostic Research: JCDR. 2014; 8:ZE25.